Have tried to launch the game from the local files which has given two windows, first one says "API-MS-CRT-RUNTIME-I1-1-0.DLL" missing re download files. The other is "MICROSOFT VISUAL C++2015 RUNTIME" and a option to download it, which I aready have and it just gives a unreal4 prerequisites window with the option to uninstall or cancel. I also had similar notices as above. It also did some Unreal Engine 4 alterations too. Now all the steam launcher does is indicate that the game is launching and then it goes into "ready to play"... click play and the same happens, over and over. downloaded the game twice and restarted computer each time etc, still get same result. 24 hours later and still no response from rockfish or even an acknowledgement of the problem a few us are having with the game. Granted it the weekend but if you launch a beta on a Friday then some one should be their to give support to any problems which happen over the weekend. I had Steam run a validation of the files and it says their is nothing wrong with them but it seems to reset the game as it runs that first time installing window, when you click the icon. The one that says "performing first time setup installing u 1of 1". Anyone know what "u" is? also how big is the game file, my download was 1.6GB with about 150meg update after. Well me again. I still am having issues running up the game from steam. I have reinstalled steam and everspace (5 times), yet the same problem persists as above. The game starts running up (ie "preparing to launch Everspace), steam shows the game to be running for about 2-3 seconds then simply quits with NO errors shown. I am sure my system is good enough to run the game as I built it to run StarCitizen! My only other steam game works with zero issues. Does ANYONE have any ideas on what I should try to do next? I don't want to spend the next 5 days working out something that should simply work. I mean how hard does it have to be? It really ought to be a straight forward and simple procedure not an imposition! Everspace for me so far has been NEVERSPACE!! Hey PINBACK I see you are having the same issue as me. When you added your game key to steam, did it say on your "receipt for key subscription" that the product name was for : Everspace(some crappy symbols) for Alpha Testing? Mine did even though it's a beta testing. Yes it did say Alpha. Just wonder if Steam is looking in the right place for the game as I have that preparing to launch box then nothing happens. I am in Germany, Hamburg now. A little night shift today. The Steam version you have is universal, Alpha and Beta alike. It will upgrade automatically every version. Cheers and have fun!! " Also, i swear the download was 4 gigs? you might consider deleting local files and trying again. Don't forget to update your graphics drivers to the most current. Also, i have no earthly idea what "U" is? Make sure you've installed the C++ redist for your 64bit operating system. I have been noticing lots of people with radeons having trouble running the game. I've got a crappy refurb gtx 950 i got for $150 that runs the game flawlessly. Also, please be patient. I'm sure this will all be sorted out soon. many of these guys have been working graveyard shift to cover as many complaints as possible. Let join in the chorus of un-happy campers! It IS Sunday here in New Jersey - but can't understand why you would load an app to Steam and not have it ready to PLAY! I click the play button and get some little dialog flashing behind steam - and no game. Sheesh! 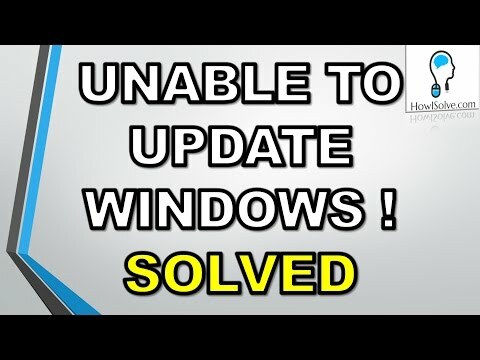 I only download Windows and security updates so they should be upto date. I will wait to see if Rockfish_HCK can throw any light on the problem. When doing updates you still need to go into the "optional" tab and install all the net framework / C++ runtime items. The game will not run without them. Windows might say they are "optional" but I can tell you - not 100% true. And it might pay to watch the first part of the video and try method one. It sure worked for me even though the accent of the bloke talking is hard to understand. The game not loading has nothing to do with steam or the game itself. I will give it a go but I will have to wait until the weekend, cheers for the help Santa.